As per our First Majestic Silver forecast 2019 we expect this to become an outperformer in 2019. 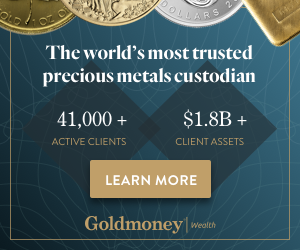 With a breakout in the price of gold this week, rising above $1300, and the silver price in 2019 exceeding gold’s rise, we expect a strong rise in the next few months. The big beneficiaries will be silver miners, and First Majestic Silver has a chart setup that suggests fireworks is in the making! As a reminder we defined as our First Majestic Silver forecast for 2019 the $7 price target as a base case and $17 as the bullish case! What’s happening now is very interesting. The price of gold, which is our leading indicator for the precious metals market, rose above $1300 on Friday January 25th, 2019. This was a breakout in the making for many months. Gold is now eyeing $1375 which should be an easy rise of almost 6 pct. Silver followed gold but with leverage, and silver stocks provided even more leverage. As this is happening the chart of First Majestic Silver became even more enticing. Why? Because its falling channel, which, on the very long term timeframe is a giant bullish flag, now comes very close to horizontal resistance (dotted line on the chart below). As this double resistance needs quite some bullish energy to break out the recent strength in gold and silver prices come really at a perfect time. This is what First Majestic Silver needs to break out. If, and that’s a big IF, this breakout above $7.00 materializes we will see so much bullish energy for this stock that it will create fireworks in 2019. Our price target of $17 may be in the making. For now though more work is needed. First Majestic published its quarterly earnings, and full fiscal year results (source). That same day the stock declined 10 pct. What happened? Likely, the concern from investors came from the announcement that a 15% layoff and 20% scale bank of investments would take place. The former is good for shareholder value, the latter unclear. This may have been a re-assuring statement “these cost cutting measures have been successful and we remain focused on improving margins and will continue to react further if necessary” but some investors were cautious apparently. Total production in 2018 reached 22.2 million equivalent ounces of silver, representing a 37% increase over 2017, and at the upper end of the Company’s guidance of 20.5 to 22.6 million silver equivalent ounces. Total production consisted of 11.7 million ounces of silver, 111,084 ounces of gold, 16.1 million pounds of lead and 5.7 million pounds of zinc. Annual silver production was slightly below the Company’s guidance of 12.0 to 13.2 million ounces primarily due to lower than expected silver production at La Encantada in 2018. Total production in the fourth quarter of 2018 totaled 6.5 million silver equivalent ounces consisting of 3.3 million ounces of silver, 34,487 ounces of gold, 3.3 million pounds of lead and 1.5 million pounds of zinc. These are great results, in line with guidance. This is great management, with cost control measures when required and a well-timed take-over that will improve result of next fiscal. In other words, we see momentum brewing in First Majestic: silver price momentum, a pressure cooker on the chart underpinned by great fundamentals and financials.